God/Trinity | J.W. Wartick -"Always Have a Reason"
Here’s a special edition Sunday Quote which features a more extended discussion. Let me know what you think in the comments. Is Natural Theology Excluded for Apologetics? Now, “natural theology” is, according to Justo Gonzalez’s Essential Theological Terms, “A theology that claims to be based on the natural gifts of the human mind, and on the ‘general revelation’ granted to all… rather than on a ‘special revelation’ in Scripture or Jesus Christ” (118). 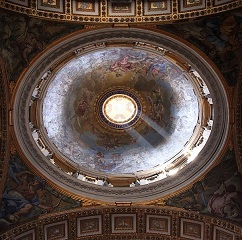 Natural theology, that is, is the attempt to show that God exists and certain other truths through looking at the world. From this quote, it seems that Molnar is arguing that if we had a better notion of the role of the Holy Spirit, we would basically think that natural theology is worthless related to knowledge of God. Molnar develops this notion further throughout the next 50 pages or so. His argument basically is that if we acknowledge that it is the Holy Spirit who enables faith and knowledge of God, then any “knowledge” of God which is not directly through faith (i.e. through something like a cosmological argument) is not objective knowledge of God. 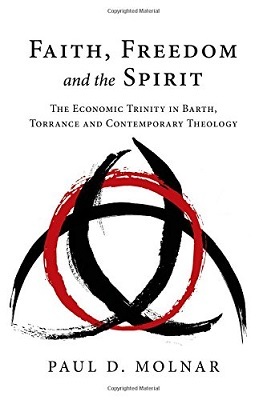 Although some of what Molnar argues resonates with me–particularly the notion that the Holy Spirit is the one who imparts faith rather than it being some kind of choice we make–I think that his dismissal of natural theology is unnecessary and mistaken. First, the most obvious question to be asked is whether the Spirit can use natural theology to create faith. If it is the case that the Holy Spirit can work through natural theology–something which seems to be clearly correct to me–then the objection that natural theology ignores the role of the Spirit is mistaken. Second, Molnar’s argument seems to rely on a concept of natural theology which is entirely about trying to impart knowledge of God to those who do not have faith. This, however, ignores the use of apologetics in strengthening the faith of believers. Natural theology can be a valuable tool for those who have faith to pursue the call of 1 Peter 3:15 and have a reason for the hope within them. Whatever one’s view of whether natural theology can bring people to the true God, it seems that it can and should be used for believers to explore the natural world and bolster their faith. Third and finally, it seems to me that Romans 1 in particular demonstrates that natural theology is not a worthless project. If God’s invisible attributes are capable of being discovered in the things God has made, then surely natural theology has some value in tracing God’s handiwork. Should we think that natural theology is a failed project? Can it have other uses like those I listed? Is it possible to go from God to Christ? What of the role of the Spirit in apologetics? Faith, Freedom and the Spirit is a thoroughly thought-provoking read which I recommend to those interested in the doctrine of the Trinity. It has certainly gotten my wheels turning! Paul D. Molnar, Faith, Freedom and the Spirit (Downers Grove, IL: InterVarsity, 2015). Molinism and Aseity- A knock-down argument against middle knowledge? One of the most recent “Straight Thinking” podcasts–a podcast put on by Reasons to Believe–featured Travis Campbell discussing Middle Knowledge (which is an aspect of the philosophical theological position known as molinism). Middle Knowledge is, essentially, God’s knowledge of counterfactuals–that is, the knowledge of things like “If someone talks about molinism, J.W. Wartick will be interested.” That is a counterfactual because it states something which may be contrary to fact–that is, it depends on some condition to be fulfilled in order to be true (in the example above, it is the occasion of someone to talk about molinism). On the second part of the interview, Campbell discussed some objections to molinism which he felt made the position intractable. One of the first objections he presented was an objection from “aseity” that is, God’s self-existence. According to the doctrine of divine aseity, God does not rely upon anything else for God’s existence. Now, molinism classically holds that God surveys the realm of possible worlds prior to the creative act and so sees all possibilities related to free creaturely choices. Then, God creates the world God desires. Campbell argued that this undermines God’s aseity because it makes God dependent upon creatures for omniscience–one of God’s essential attributes. The argument, if sound, has great force. After all, if molinism means one must deny an essential attribute of God, there is a pretty serious difficulty with the doctrine. But does it? Campbell cited William Lane Craig, a leading proponent of molinism, as admitting that molinism entails that God’s knowledge, at least, is in some sense dependent upon creaturely choices. From what I have read of WLC,* I have found it seems he frequently makes it appear as though molinism presents God as able to choose among any parts of possible worlds to construct whatever possible world God wants. Not correct… but possibly also not Craig’s actual view;* perhaps Craig is only making it seem thus when he discusses molinism in summary. What I’m getting at is that I’m not convinced Craig is as consistent a molinist as, well, Molina (or in modern times, Thomas P. Flint). Now for the claim itself, I do not think it follows that God is actually dependent upon creaturely choices. And, if it follows from molinism that God is dependent in that way, then it must also be true of any view which holds to foreknowledge whatsoever. In fact, this is where I have a pretty serious bone to pick with any view which denies comprehensive foreknowledge. Unless I am much mistaken–which is quite possible–the realm of possible worlds is a set of necessary truths. That is, each possible world is a complete set of all true propositions for the entire history of that world. *** But if that is the case, then molinism is no different on God’s creative activity than any other view of creation, for God is simply selecting one from a set of possible worlds. There is debate over how such a set of possible worlds might be populated–does the set of possible worlds come from God, or is it simply a set of necessary truths? ** Whatever one’s answer for this, it remains clear to me that molinism is not defective in this area: the molinist simply holds that God selects a possible world from the set of possible worlds. The fact that the molinist emphasizes that these possible worlds include free choices is essentially a moot point so far as aseity is concerned. If there is such a set of possible worlds, then any view of God’s foreknowledge and creation has to acknowledge that God’s creative act is the bringing forth of one such possible world. If there is no such set, then it seems our universe is necessary, which would itself be problematic for the doctrine of creation. So it seems to me that Campbell failed to make a compelling argument against molinism from aseity. In order for his argument to be successful, he would have to show that molinism’s view of possible worlds is somehow radically different from any other position and then also demonstrate that molinism’s view also necessarily makes God dependent upon creaturely freedom. But of course that would also involve him having to show that the set of possible worlds, on molinism, is itself independent of God. And it seems to me that although perhaps not all molinists hold that God does generate the set of possible worlds, it is entirely possible for a molinist to consistently hold that this is the case: the set of possible worlds is dependent upon God. And, if that is true, Campbell’s argument fails. I conclude that Campbell’s argument fails because it is both incomplete and unsound. *I have his Divine Foreknowledge and Human Freedom but I am working through Molina’s work before I transition into it. **Interestingly, Craig is working in this area for his next major academic work, according to his own discussion of related topics on his podcasts. ***One may hold that a possible world is merely the starting conditions of a world, but I do not see how that distinction could be made coherently. That is, I’m not convinced that a set of possible worlds would not include the entire history of the possible world. Moreover, any who would argue that God has comprehensive knowledge of the future would have to grant that God’s creative act would entail the history of the entire [possible] world.